Fiber Optic Testers are used to measure the signal loss or change through a fiber optic cable. It can be used in telephone, networking, telecommunication and medical imaging applications. 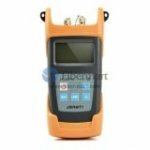 Common used fiber optic testers from Fiber-Mart include Visual Fault Locator, Optic Power Meter, Fiber Light Source, Fiber Optic Identifiers & Talk Set, OTDR, Fiber Optic Multimeter, ADSL & CCTV Security Tester, and Power Cable & Telecom Cable Fault Locator. Fiber-Mart provide reliable quality fiber testers in accordance with telecom, military, aerospace and other industry standards. 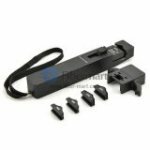 You can buy these fiber optic test equipments on our store with your confidence.